1. Preheat oven to 350F. Butter a 9-inch square baking pan and line with parchment paper. 2. In a bowl of a stand mixer fitted with a paddle attachment or in a large bowl with an electric hand mixer, beat the butter and sugar on medium high speed until light and creamy. Add the flour and salt and mix until combined. 3. Press the dough into the prepared baking pan and chill for 30 minutes. Bake until just beginning to turn golden brown, about 15-20 minutes. Let cool. 1. Whisk together the eggs, sugar, lemon juice, lemon zest and flour in a medium bowl. Pour onto the cooled crust and bake for 5 minutes past when the middle has set (test this by jiggling the pan, if the center does not move, it is set). It's about 30-35 minutes total baking time. 2. Let cool for about 30 minutes, then use the parchment paper to lift the bars out of the pan and let cool completely on a wire rack. 6. Its best to work in small batches, so slice them into small squares first. Sprinkle sugar on a few bars at a time and use a kitchen torch to melt and caramelize it. As mentioned above, you can use your oven broiler, watching carefully that they don't burn. 7. Brulee just before serving for best results. 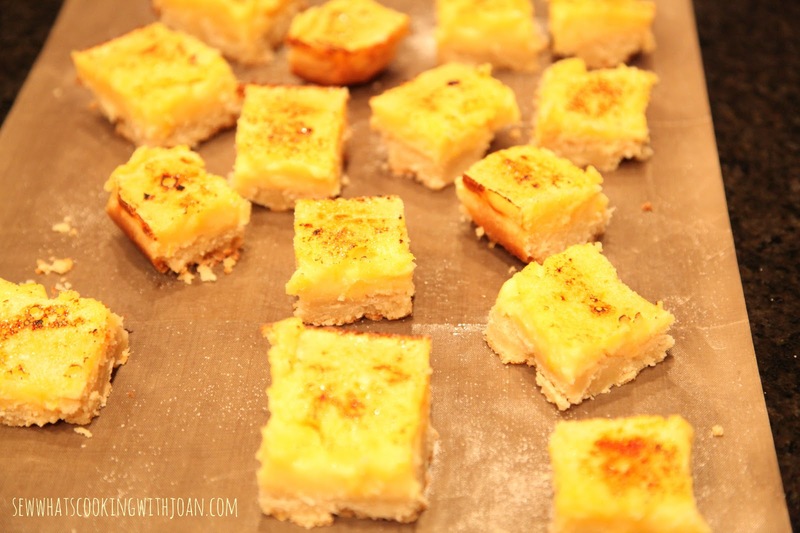 Store lemon bars in the fridge. If you'd like to skip the bruleed topping, just dust the bars with powdered sugar once they have cooled. 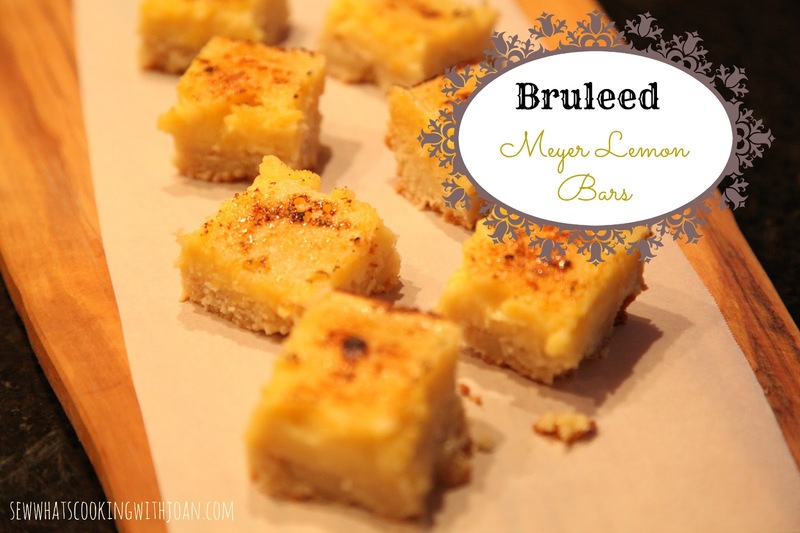 If you can't find meyer lemons, you can sub regular lemons. If you do, increase the sugar to 1 1/3 cup. Well, time for me to sign off and hope you all have a great weekend. 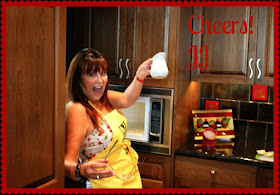 JJ will be back Monday with something fun to share with us. She is golfing in a tourny this weekend and I know she is going to KILL it!